Ships wait to be loaded at the Port of Los Angeles in Long Beach, California. NEW YORK - Amid uncertainty over President Donald Trump's growth agenda, US economists increasingly are worried about risks to the economy, though they see little chance of a recession near term, according to a survey released on Monday. The National Association for Business Economists quarterly survey showed little change in the forecasts compared with June in key areas such as economic growth, which was projected at 2.2 percent in 2017 and 2.4 percent in 2018. But the September survey of about 50 economists showed 48 percent believe the risks to the economy are weighted to the downside, indicating chances for an economic slowdown, while 43 percent see the risks tilted to the upside, meaning growth could outpace forecasts. That is a shift from June, when upside risks outweighed downside risks by 60 to 36 percent. However, "Downside doesn't translate into expectation of recession, but slower growth." The survey showed 73 percent of respondents believe individual tax cuts will be enacted by the end of 2018, down from 83 percent in the June survey. And 61 percent now see an infrastructure plan enacted, down from 83 percent previously. Still, nearly three-quarters of panelists viewed the odds of a 2018 recession as 25 percent or lower, with the remaining group seeing the chance as 26 to 50 percent probability. The forecast for monthly nonfarm payroll growth for 2017 was unchanged at 178,000, but unemployment is now seen as averaging 4.4 percent, down from the 4.5 percent in June. 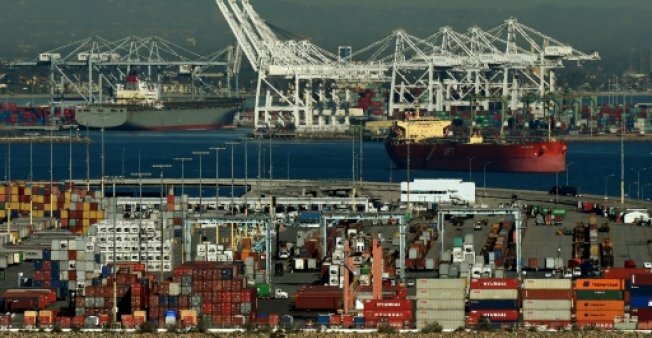 Amid uncertainty over President Donald Trump's growth agenda, US economists increasingly are worried about risks to the economy, though they see little chance of a recession near term, according to a survey released on Monday.